Today we celebrate the release of the 2014 Beaujolais Nouveau in la maison Oke. This one is a winner. One of the best in years. 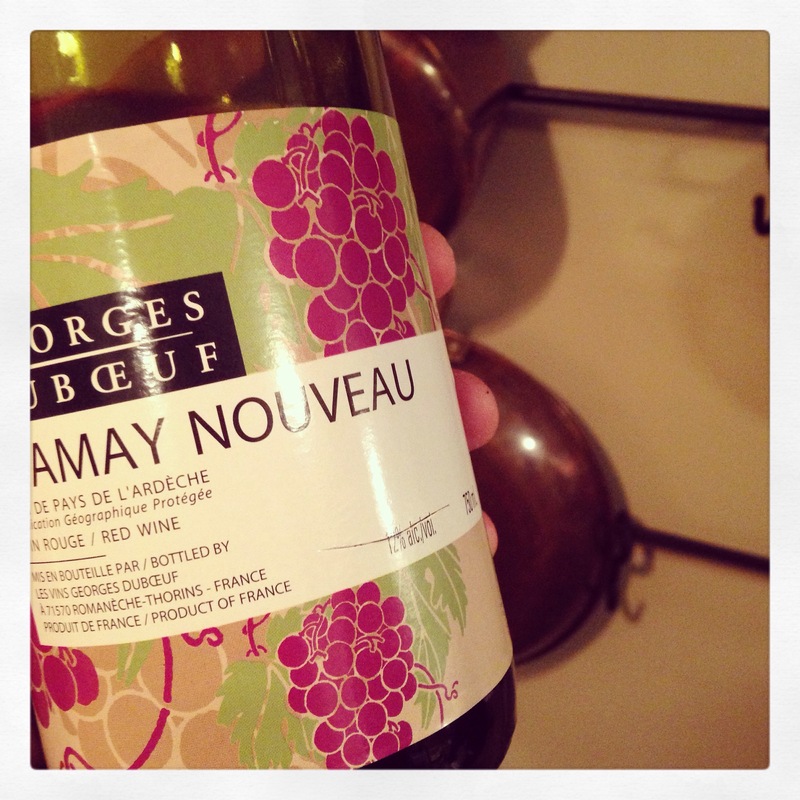 This is what Nouveau should taste like – tart, juicy, with a hint of effervescence – and it’s under $10! It’s okay for you to go out and buy this at your LCBO in Guelph. I already have 6 bottles. This entry was posted on Thursday, November 20th, 2014 at 5:53 pm	and tagged with Beaujolais Nouveau, Beaujolais Nouveau 2014, georges duboeuf beaujolais, LCBO Beaujolais Nouveau 2014 and posted in LCBO Quick Pick list. You can follow any responses to this entry through the RSS 2.0 feed. I am now trying to find in BC!